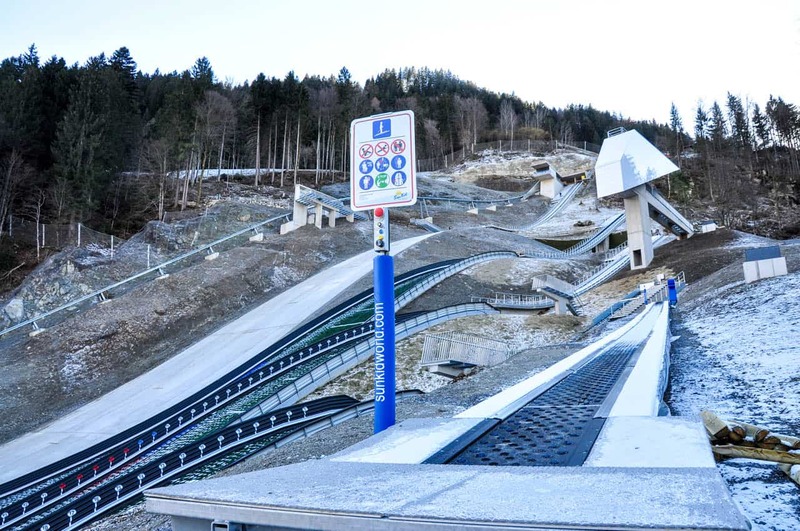 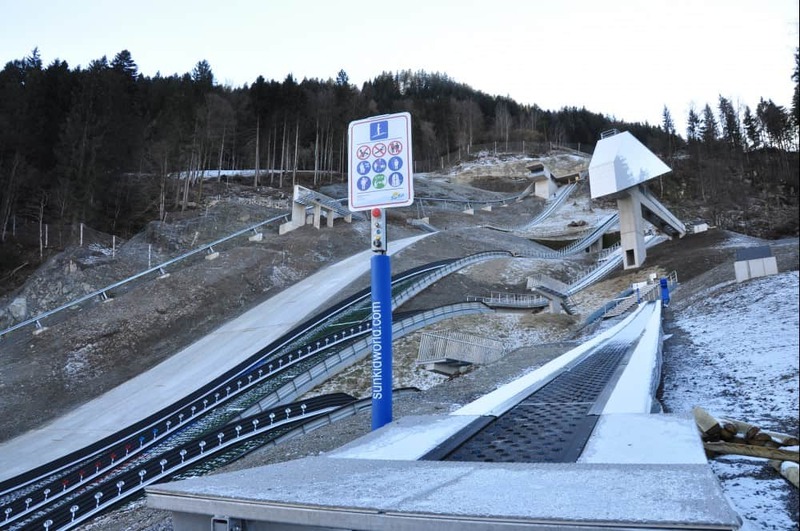 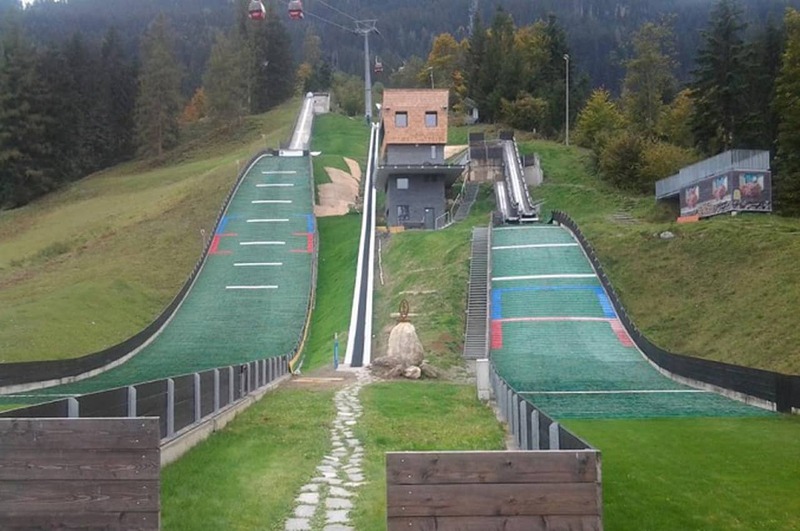 In contrast to conveyor belts for alpine skiing, person conveyor belts for ski jumping facilities can be installed with a much higher inclination, since the conveyor belt is only used by trained athletes with a good sense of balance. This permits slopes of up to 35% and even more. 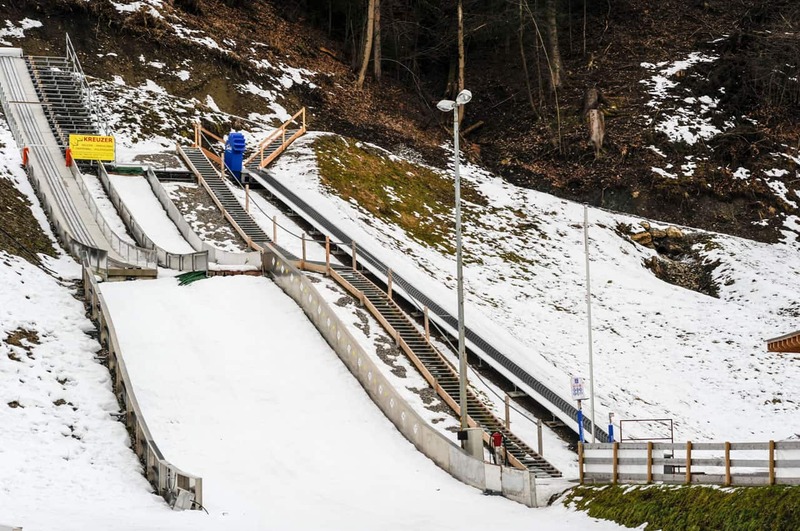 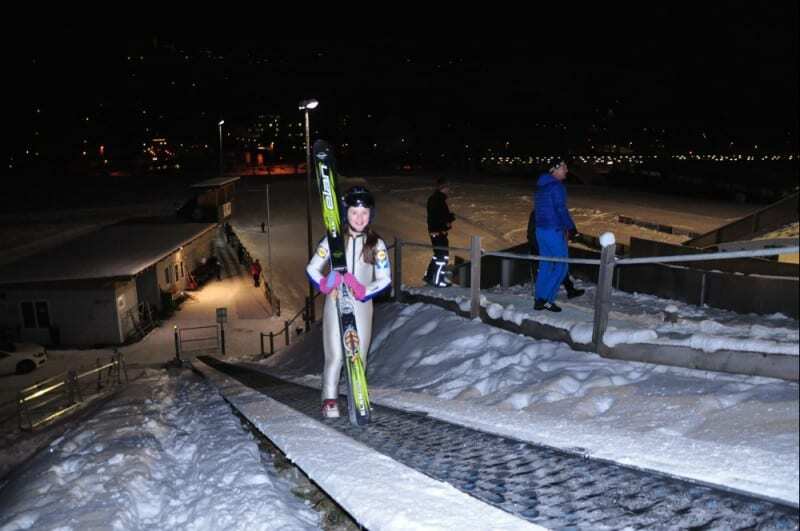 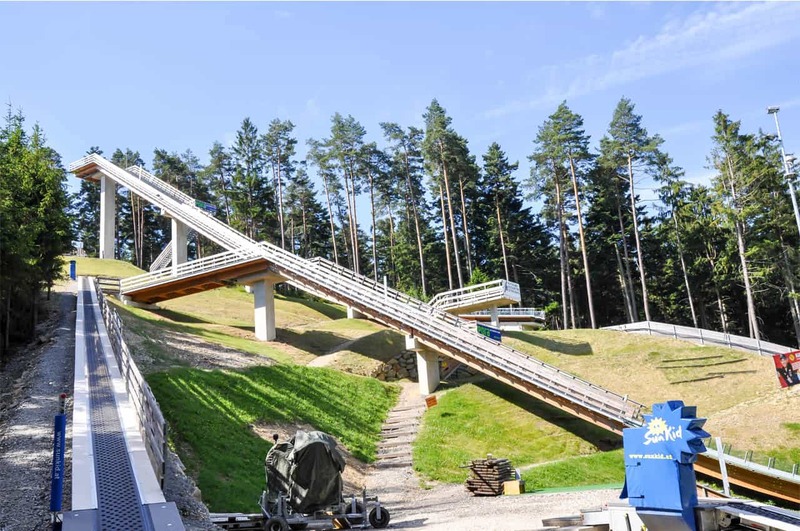 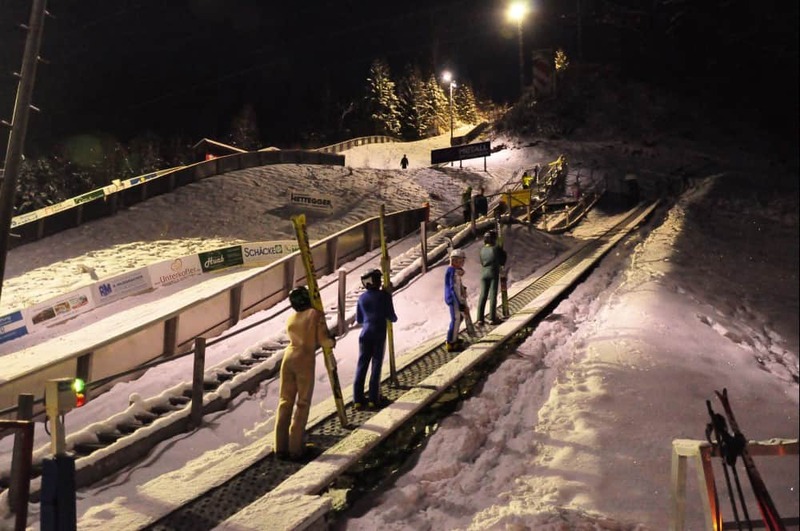 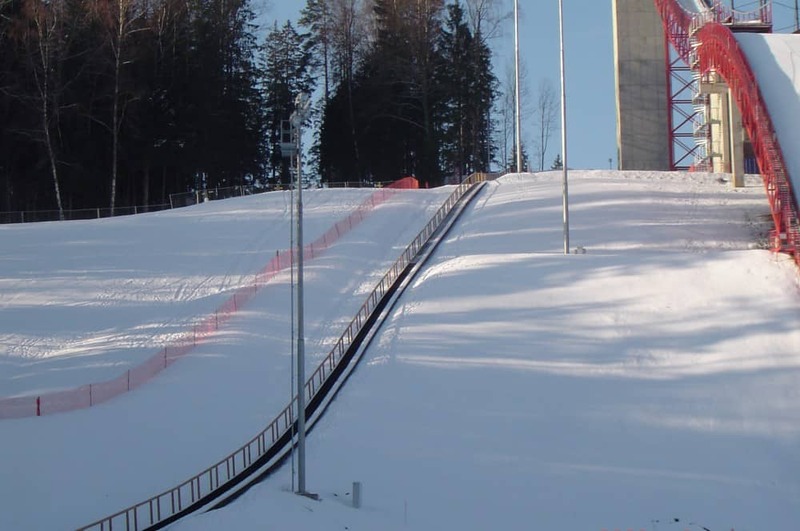 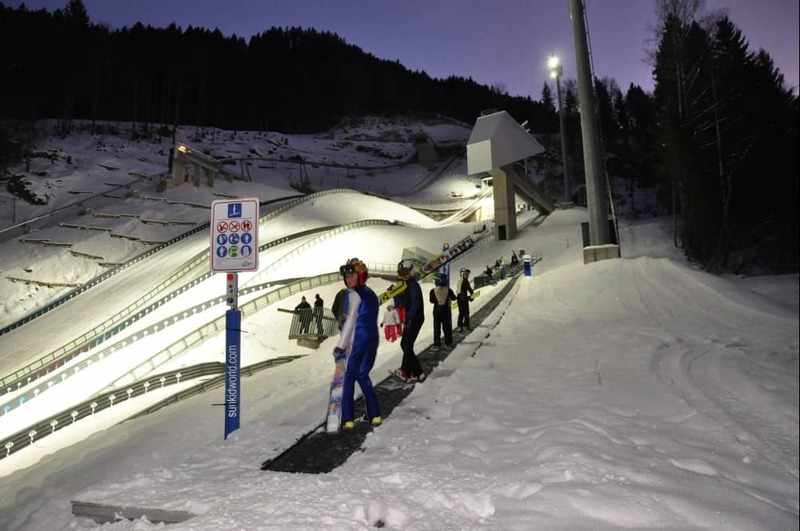 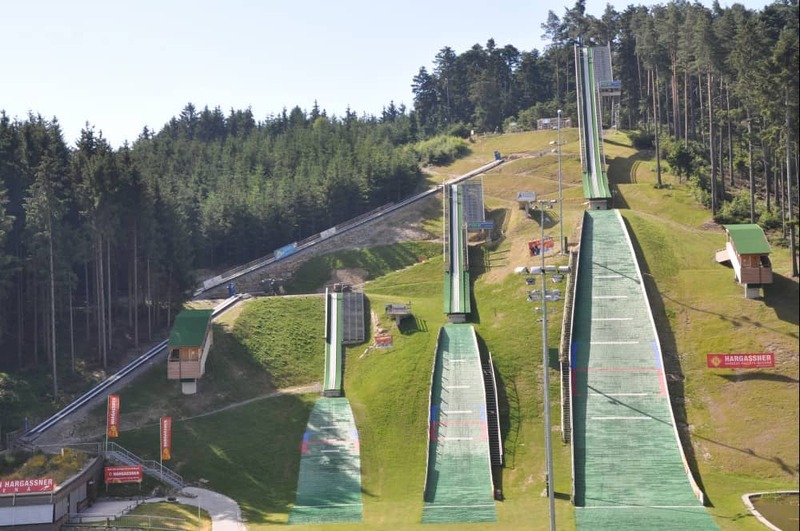 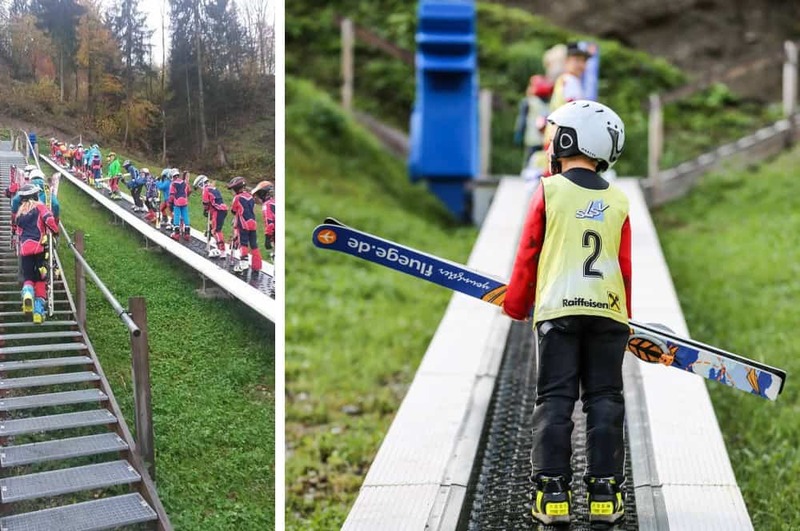 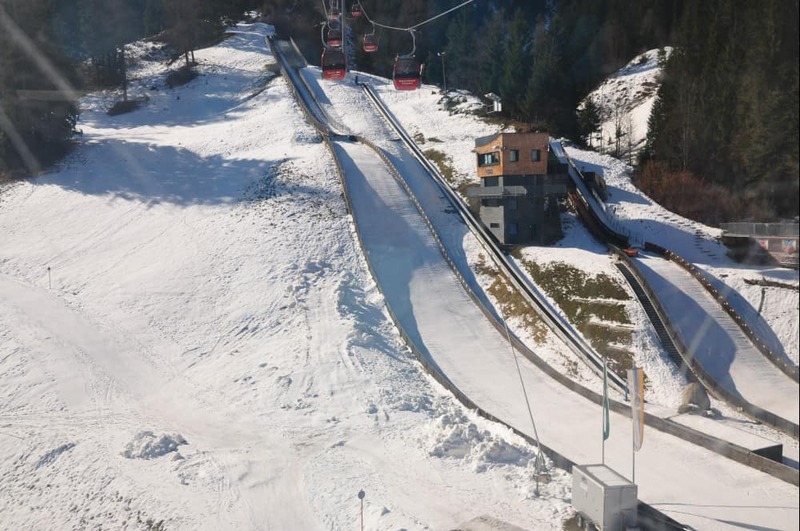 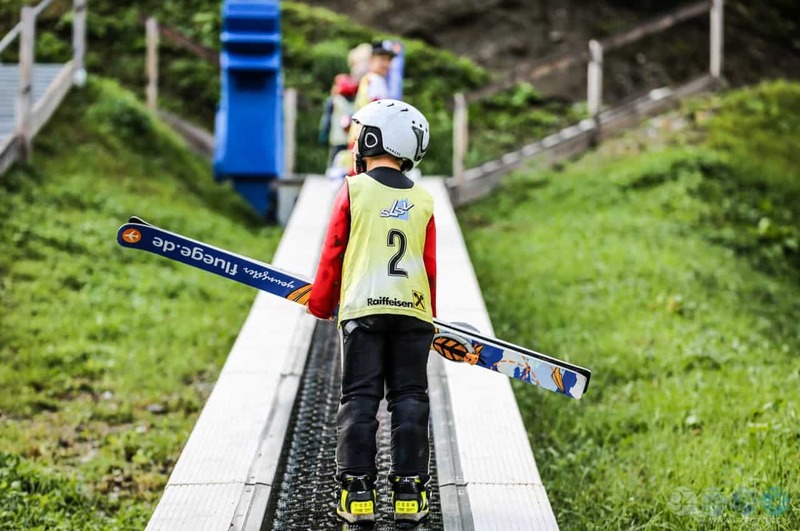 The benefits of the Sunkid conveyor belt for ski jumping facilities are clear: The more rested and the more quickly ski jumpers come to the start of the ski jump, the more jumping units can they perform per training - around the year in matte facilities.